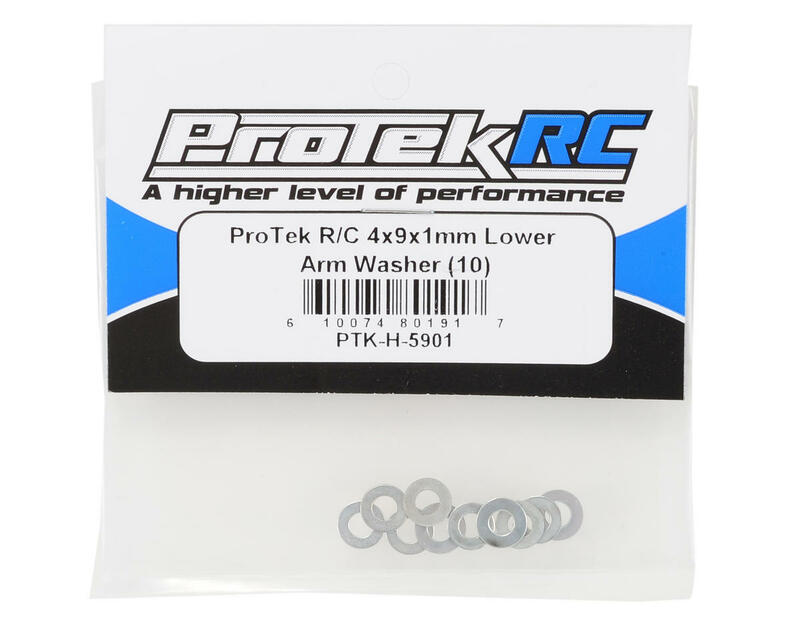 This is a pack of ten ProTek R/C 4x9x1mm Lower Arm Washers. 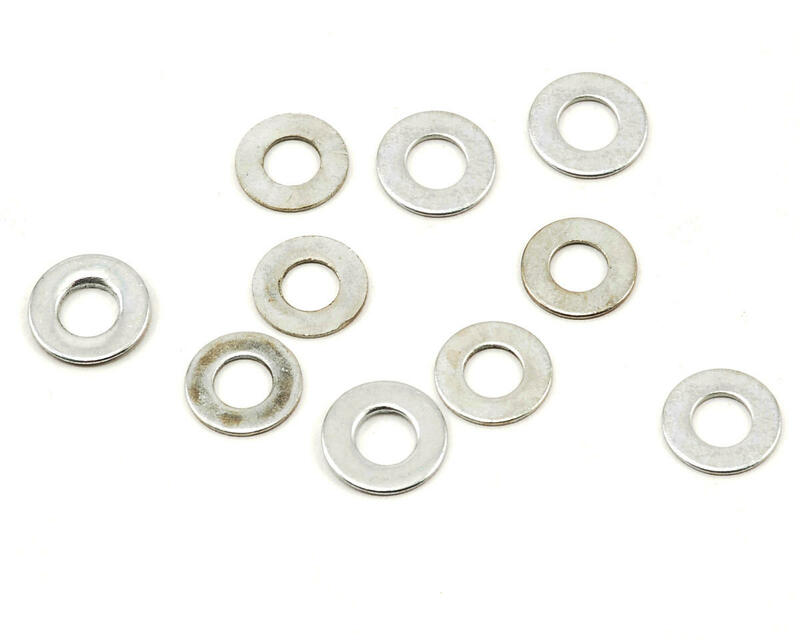 These washers have a 4mm inner diameter, with a 9mm outer diameter and are 1mm thick. These can be used in a variety of applications and are an excellent choice for any application that requires a 4x9x1mm washer.